One thing you may not know about me is that when not training for competition I’m actually a wanna be ‘foodie.’ I adore spending time coming up with unusual flavor combinations, and subjecting my friends and family to experimental kitchen concoctions. With a week left to go before my training season ends, I’m itching to explore the joys of summer culinary. And yet, my competitive nature will not let me release the foot from the pedal just yet.. So what’s a girl to do? Make nearly no calorie Mocktails of course! 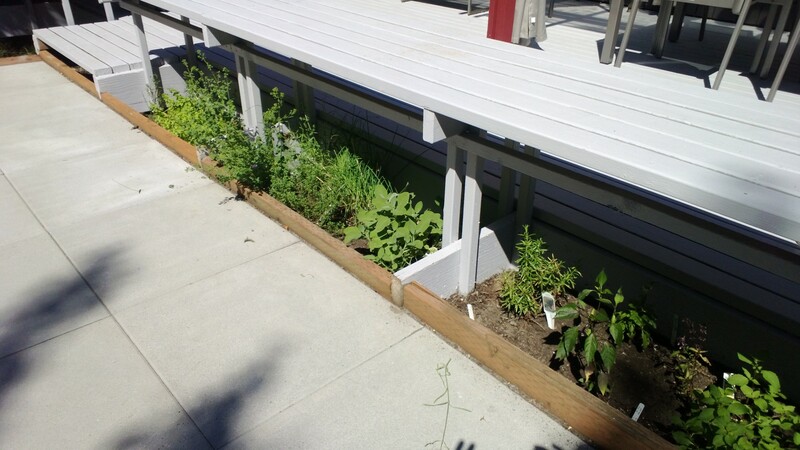 With our herb garden in full bloom, I can’t help but imagine some sweet and savory flavor pairings sure to tickle the palette. If you’re not in training yourself, you can easily add a shot or two of vodka to these recipes, as I did for my happy husband today. All of these are made with Torani sugar free syrup – if you’re against using Splenda or artificial flavor, you can make your own simple syrup recipe – just know it will add calories. Here’s what we came up with inspired from our garden. For all of these, you can very simply throw all ingredients in a glass, top with ice and enjoy right away. If you’re patient, try mixing all but the sparkling water, refrigerate to ‘infuse’ the flavor for an hour, then top off with the sparkling water, ICE, and enjoy! This entry was posted on July 13, 2013 by Samara (The Gym Coach & National NPC Competitor in fitness, Food and Diet.